The official iPhone App for the Speed Tunnel. 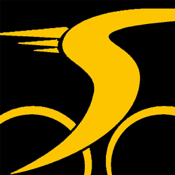 This application presents the relationship between aerodynamic drag, speed, elapsed time, and power for a cyclist. It also shows the relationship between bike speed and cross wind as it pertains to effective yaw angle. "How much will my time drop?" "How much faster will I ride?" "How much easier can I pedal?" "How much more aero do I need to be?" For more information and to purchase your ticket for the Speed Tunnel, visit us at speedtunnel.net.